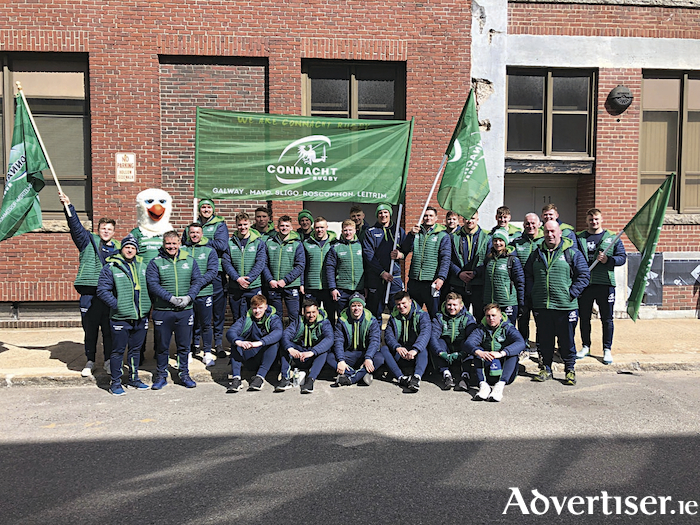 The Connacht Rugby Eagles Team and their coaches marched in this St Patrick’s Day parade in Boston where more than a million people lined the streets to cheer them on. The Connacht Eagles were in Boston playing the New England Free Jacks. NUI Galway has launched a survey to gather the views of the public on the proposed Irish Language Plan for Galway City 2019-2026. The research is being conducted on behalf of the Galway City Council and Gaillimh le Gaeilge as part of the preparation of an Irish language plan for the city. The online survey will run until Friday April 12 and aims to assess the desires and needs of the community in relation to the development of the Irish language in Galway. Under the Gaeltacht Act of 2012, Galway has been nominated a Gaeltacht service town and is required to develop its own plan to increase the use of Irish within the city. Last year, Dr John Walsh of the Department of Irish and Dr Dorothy Ní Uigín of Acadamh na hOllscolaíochta Gaeilge, NUI Galway were appointed by the Galway City Council and Gaillimh le Gaeilge to develop an Irish language plan for the city. A new steering group, Coiste Stiúrtha Pleanála Teanga Gaillimh was established to support, guide, and oversee the progress and the delivery of the language plan. Members of the coiste represent a broad cross-section of the public, private, community, and voluntary sectors in Galway city. The survey is available at: http://www.nuigalway.ie/gaeilgebheo/.